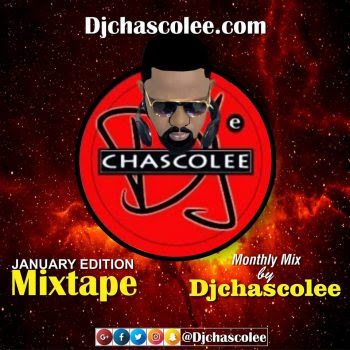 Ace Dj of Solid Fm, Rainbow Fm, & Rave Fm, popularly known as Dj Chascolee comes up with this new mixtape titled Dj Chascolee January Edition Mixtape, monthly mixtape exclusive to Dj Chascolee brand. Watch out for February edition. DJ Chascolee drops it’s long awaited mixtape to kick start the year with something light base on doing this monthly mix for his site.